Dividends are an important factor in making any investment decision. They have a significant impact on the overall return of a particular investment. That’s why I love dividend reinvestment plans. While in the short term it may not seem like you could gain much from reinvesting small amounts of dividends, over the long-term you could be missing out on significant gains from the effect of compounding interest. One of the easiest ways to maximize investments in dividend stocks is through dividend reinvestment plans, or DRIP for short. There are many advantages of dividend reinvestment plans that investors can use to purchase stock. Dividend reinvestment plans have been offered by many companies for quite a long time, but they are becoming ever more popular with investors. Offered directly by the underlying company, a DRIP is essentially a method by which shareholders do not receive dividends in cash but rather in additional shares of stock. Purchase shares with minimum optional monthly payments of $25 or $50. Who Should Invest in a DRIP? DRIPs are plans you may want to include in your portfolio for retirement or for long-term savings goals as they offer the investor a number of advantages. DRIPs allow you, the investor, to acquire stocks that are well-regarded and highly valued. Plus, you are not under any obligation to invest into the account each month. Whether you have a lot of money or have little to spare, DRIPs give you the opportunity to own company stock in some of the largest companies. You can purchase whole shares or fractional shares and will accumulate whole or fractional dividends. In many dividend reinvestment plan programs, you are entitled to buy discounted shares. As a result, you receive an automatic profit on your investment. DRIPs, in many instances, charge little or nothing to purchase shares. How Do You Sign Up for a DRIP? To sign up for a DRIP, you either have to already own a share of the company’s stock, or you can buy stock directly for an initial investment. If you want to enroll in a dividend reinvestment plan that requires a share of stock to join, then you will need to go through a broker to obtain that first share. On the other hand, if you want to avoid using a broker, you can sign up directly, as stated, with many companies offering DRIPs. Usually, your initial investment will be in the neighborhood of $250 with the option of making monthly payments of $25 or $50. DRIPs with direct purchase plans allow you to invest in the stock by automatically withdrawing a certain amount from your bank account on a monthly basis. If you want to maintain a schedule of ongoing investments for savings or retirement, this is an excellent route to take. Several DRIPs also provide individual retirement accounts or IRAs that the company will administer for you, usually for a small charge annually. If you decide to participate in a dividend reinvestment plan or a direct purchase plan, you will first need to request the company provide you with the plan prospectus which can give you all the information you need about the plan. Usually, you can obtain these details from the website of the company. 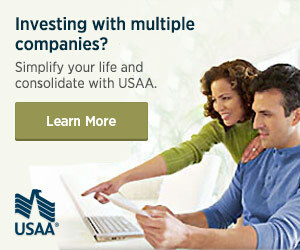 Once you sign up and pay your initial investment, you can start making additional investments immediately. The certificates of stock will be in the possession of the company and can be obtained at your request. You can also invest in dividend stocks through a smartphone app like Stash. Stash is the new way to save and invest. You can start small and gradually build your portfolio. Stash is an investing platform that makes it easy to start with as little as $5. You’ll learn the basics so you can do it yourself. Plus, Stash’s curated educational content will help you develop smart financial habits. They provide simple tips and guidance so that you can invest with confidence. The advantage of dividend reinvestment plans and plowing your dividends back into your investment is that it has a significant effect on your investment returns over time. This can be found in the impact that compounding has. By buying additional shares in the same company you gradually increase your holding, but you also receive ever-increasing dividends as your total holding not just your initial investment increase over time. In many markets and industries, this could result in returns that are more than 50% higher than if you did not opt for reinvestment through dividend reinvestment plans. Companies that offer dividend reinvestment plans generally handle the process directly, and you usually only need to fill out the relevant forms to partake in the plans. When each dividend payment date comes around, your broker is not sent a cash amount but is rather notified about additional shares that have been allocated to you. Your total shareholdings continue to increase through DRIPs. With every dividend payment, you increase your holding in the company automatically. And, the more successful a company becomes, the greater your investment grows, which helps boost your overall investment returns. One of the biggest advantages of dividend reinvestment plans is that many companies often offer a discount on the official share price. This gives you an immediate leg up and a positive value of your new shares of stock. While the discounts are usually quite small, this all helps in the long-term. In addition to the discount, signing up for such a reinvestment plan greatly reduces your stock purchase costs since you are skipping the stockbroker or your discount brokerage firm. Even with discount brokers like Scottrade and TD Ameritrade , it is generally not worthwhile for you to buy small amounts of stocks. The buying and selling fees have an immediate impact. Join TD Ameritrade today + Trade commission-free for 60 days. TD Ameritrade - Trade Free for 60 days Price: Free Explore TD Ameritrade, the best online broker for online stock trading, long-term investing, and retirement planning. For example, if you bought $100 worth of shares and paid $7 commissions to buy and sell, then the shares would have to increase by 14% just to for you to break even. This is where DRIPs become especially beneficial for small-scale investors who receive only small amounts of dividends. There are no commissions and typically only very small fees involved. Dividend reinvestment plans are by far a great way for investors to ensure that their portfolios are performing at the highest level possible while saving the investor money in commissions. By reducing costs and taking advantage of compound interest, every investor should take advantage of dividend reinvestment plans. I buy shares of companies directly from them using websites like Computershare. It’s a great resource to get into purchasing DRIPs, and the company acts as the central agent for most of the companies on the S&P 500. Do you invest in DRIPs? What are your favorite companies to invest in using dividend reinvestment plans? I’m a huge fan of DRIP programs, especially in retirement accounts. Have you given loyal3 a try yet? Also a great way to start off with small position dividend investing as the trades are commission free. I’m also a huge fan of DRIPs! There’s actually very little not to like about them, just as you allude to in this article, they allow for automatic reinvestment without paying any commission, can sometimes get a discount from the company for the reinvested portion, and allows for compounding of your investment. DRIPs biggest advantage is often the discount and savings on commissions as mentioned above. Sadly, in my area, we are not seeing many people take advantage of these opportunities. To each their own. I am all over this like a white on rice on a paper plate in a snow storm.